When it comes to weightlifting, the more lifts you make the greater the success you get to enjoy. However, sometimes a weightlifter’s unyielding willpower to keep lifting is hampered by the body’s inability to keep going. 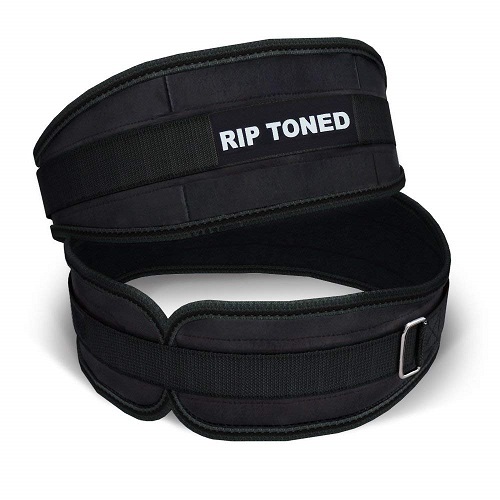 This is where the Lifting Belt by Rip Toned comes in. This belt enables you to push beyond your physical limit and lift more weights safely without exposing your body to risk of injury. The only belt endorsed by 2014 World Champion power lifter Kevin Weiss, this Rip Toned Lifting Belt has a lot going for it. For starters, it offers excellent durability through quality stitching and workmanship. Therefore, you’ll enjoy the belt’s benefits for a long time. Secondly, it enhances performance while staying out of the way. It features a wide back and front, and thin sides. The thinness of the sides keeps the belt from hindering your movements as you work out while the width of the front and back stabilizes your core allowing you to achieve more reps in your routines. Thirdly, it can be used by a wide variety of people thanks to an adjustable design. Thanks to this adjustability, you can achieve a snug fit that keeps you comfortable during workouts and adds pressure to the abdominal area, which helps maximize your workout potential. Lastly, the Rip Toned Lifting Belt is highly versatile and can be used in several routines ranging from powerlifting and bodybuilding to CrossFit and weight training. Is the Lifting Belt By Rip Toned Worth Buying? With more pros than cons and hundreds of users who are highly satisfied by the belt’s quality and effectiveness as well as Rip Toned customer service, everything seems to indicate that this Rip Toned Lifting Belt is a good buy. The most loved qualities of the belt are its sturdy build, comfortable design, and adjustability. The belt is well-made and flexible. It’s washing machine friendly and therefore super easy to clean. Features a Velcro material that prevents the belt from cutting into your back. The belt comes nicely packed in a plastic wrapper that is tied with elastic to keep belt from wear and sun damage in storage. Comes with a lifetime, no-hassle, free replacement guarantee. Not thick enough to serve serious/advanced lifters. Effective, comfortable, made of quality material, and adjustable, the Rip Toned Lifting Belt is a great weightlifting belt. 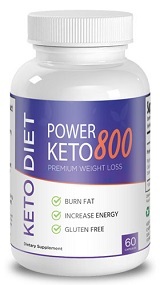 It can easily help you lift more weight, push your body to the limit without risking injury, overcome a fitness plateau, or protect a sore/injured back during exercise. Therefore, if you exercise regularly, this Lifting Belt by Rip Toned would make a nice addition to your workout equipment. Next Next post: Dumbbells vs. Barbells vs. Kettlebells: Which is Best for Women?